Essentials of Practical Writing is intended to help the reader to start writing academically. The promising organization of the materials in the chapters per se helps the ease of understanding on the part of the reader. 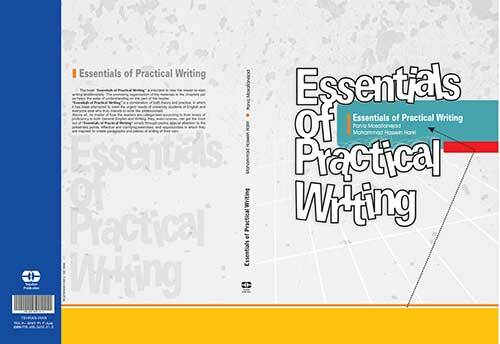 Essentials of Practical Writing is a combination of both theory and practice, in which it has been attempted to meet the urgent needs of university students of English and everyone else who truly intends to write like professionals. Above all, no matter of how the readers are categorized according to their levels of proficiency in both general English and writing, they, even novices, can get the most out of this English coursebook simply through paying special attention to the presented points, effective and clarifying exercises, and opportunities in which they are inspired to create paragraphs and pieces of writing of their own. Study the English lessons that I’ve created on YouTube.